Workplace Safety Blog | Safetycare | Safety Training Videos | Free Safety Pictures and Resources: Over 75 Workplace Safety Videos in 1 product! 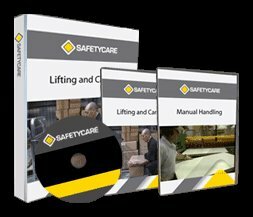 Over 75 Workplace Safety Videos in 1 product! Thank you to all of our subscribers for making Montie the world's leading safety video subscription service. If there's anything we can do to assist you, please give us a call, we've love to have a chat with you! Until then, stay safe! If you aren't familiar with Montie . . . . you MUST check it out! http://www.safetycare.com/ It is simply the best Safety Training Video Solution! Call us for a free 2 week trial. Mr Bean does CPR - Hilarious!